There are some singers and songwriters that seem to have a sadness that runs under their music no matter how bright and poppy and bright their melodies are. Evan Dando is one, J. Mascis is another and so is Jackson Brown. But for me, the Meat Puppet’s Curt Kirkwood has always been the master of this elusive feeling. He has a resignation and weariness in his delivery that just leaves my heart feeling buoyant and flattened at the same time. Mirage is from the album of the same name. It’s one of the first Meat Puppet’s records to benefit from real studio production. The instruments are crystal clean and the harmonies are spot on. The New Bryan Ferry sounds like the Old Bryan Ferry. This is a good thing. Bryan Ferry has been on a bit of a retro tear as of late. His last album, 2008’s Olympia, opened with a sound that was more than a little reminiscent of those last vibrating bars that close out True to Life, the final track on Roxy Music’s Avalon. The effect was to create a sense of continuity between Roxy’s last album and the first track on Olympia, as though the record had somehow emerged from a time warp nearly 30 years later. Unfortunately, Olympia – despite the glam Kate Moss album cover and retro keyboard sounds – was not quite the companion piece to Avalon that we all would have liked. The production was a bit too loose. The songs, unrefined. But then, Avalon is truly one of the greatest albums of all time. A work I would probably but in my top twenty if not top ten. The best sequels to Avalon were the two Solo album’s Ferry released immediately after Roxy Music disbanded: 1985’s Boys and Girls ( which according to wikipedia is often called Avalon II) and 1987’s Bête Noire. With production help by Rhett Davies and Patrick Leonard respectively, these albums delivered intense, exotic sophistication. Jazz, funk, and ethereal, distinctly eighties electronic sounds melding together to create a dark night of blue-eyed soul. As Ferry’s catalogue developed, he gradually moved away from the the subtle, hyper-detailed ambience of these eighties landmarks. 1993’s Taxi was still interesting but with each successive album Ferry has become more and more of the traditional crooner he has so long been modeling his image after. This transformation probably reached its zenith with 1999’s As Time Goes By, a collection of jazz standards, along with 2007’s Dylanesque. With Avonmore, Ferry has finally returned to the promise shown in his two Eighties works. Rhett Davies is working once more in the producer’s chair and the album is chock full of interesting performers including Niles Rogers, Flea, Johnny Marr, Maceo Parker and Ronnie Specter. All of these ingredients create a work that is satisfying on a lot of levels. Most of all because it’s so great to a see an artist who has explored so many different avenues of musical expression return to what they do best and truly deliver. 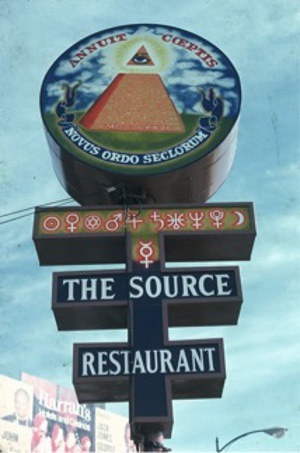 The Source Family were a new religious movement a.k.a cult that existed throughout the 1970’s. The enigmatic Father Yod standing as the group’s leader and patriarch. 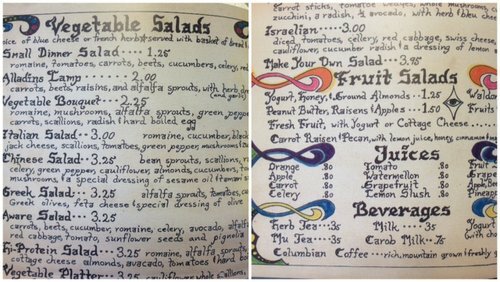 During the group’s heyday they were primarily known for their health food restaurant on Sunset Blvd. a chic place, among the first of it’s kind frequented by Hollywood stars and earning rave reviews for their more natural approach to cooking. In many ways the place was ahead of its time, anticipating many trends that would emerge as a dominant part of restaurant culture in the 2010’s. What the group was less known for was their music – long, intensely psychedelic jams much akin to the work of Can, Faust and other avant-garde Krautrock groups of the era. The releases have become highly collectible and sought-after. Fortunately, as with most things in the world, many of the recordings have been digitized and uploaded to YouTube. And so here is one of there very best albums, Penetration: an Aquarian Symphony.